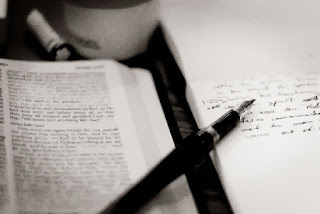 Asking God for wisdom and guidance is the best thing we can do before we start writing. Any time. If you’re not feeling inspired to write, ask God for an angle or a special slant on your subject. When I write, some sentences that pop into my head have to be from Him. I know I couldn’t have thought of them on my own. 2. Write what you know, or research your subject some more. If you’re stumped about what to write for your blog, write what you know. Pick a topic that you’re familiar with, and write a post from the heart. If you’re writing an article or a chapter about something that you’re unfamiliar with, research enough until you know your subject and you discover a starting point for your piece. You may not become an expert on the topic, but you can cite your sources and feel at peace with the material you’ve presented. 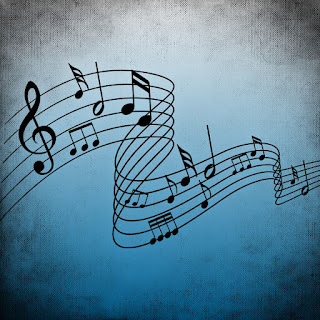 Listen to your favorite playlist of music. 3. Listen to your favorite playlist of music. Playing your favorite songs can blow away any “mind fog” and inspire your heart to write. If the lyrics to your favorite music distract your mind too much, pick some great instrumental music to set the right mood and reignite your inspiration. 4. Watch your favorite “go get ‘em” movie. I am a visual learner, and I learn a lot from movies. Some action movies inspire me to write about being all in and not giving up. I love to see a team work together, like in the new Star Trek series, or to watch a character conquer fear and other obstacles like in Tim Burton’s Alice in Wonderland. Watch a movie that inspires you to press on or make a difference, and then use the oomph you gain from the movie to write. I don’t know if male writers would consider doing this one, but Pinterest is therapeutic. (So is shopping, but it’s more expensive.) Take thirty minutes to search for cute puppy pictures, delicious-looking recipes, or creative DIY projects on Pinterest, and then return to your writing. Hopefully, you’ll be in a cheerful mood, and the creative juices will start flowing again. If Pinterest isn’t your thing, try working on your favorite hobby, or doing something that uses the creative side of your brain. Just maybe, the creativity will spill over into your writing. Remember what you studied for your quiet time. 6. Remember what you studied for your quiet time. If you’re writing an inspirational post or article, recall the principles you learned in your quiet time that day. What things did God teach you? What truths or encouragement can you pass on to your readers? Let these inspire your writing. 7. Think about your most recent struggle and victory. With God, no trial is wasted. We learn and grow through our trials, and often we find ways to encourage other people through theirs. Winning the victory over a struggle can become great inspiration in helping others to persevere. You don’t have to go into detail about your own struggle, but tap into the joy and the pain of your trial when you sit down to write. Empathize with other people’s struggles, and share what you have learned in yours. 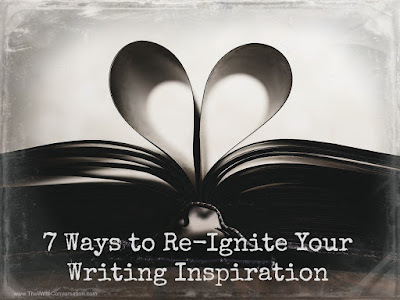 What do you do to reignite the flame of inspiration? Share some tips, and let’s help each other stay inspired to write. Join the conversation! Katy Kauffman is an award-winning writer and a co-founder of Lighthouse Bible Studies, a ministry which seeks to connect people to God through His Word. She has taught the Bible to women and teens, and has two published Bible studies for women, 2 Timothy: Winning the Victory and Faith, Courage, and Victory. 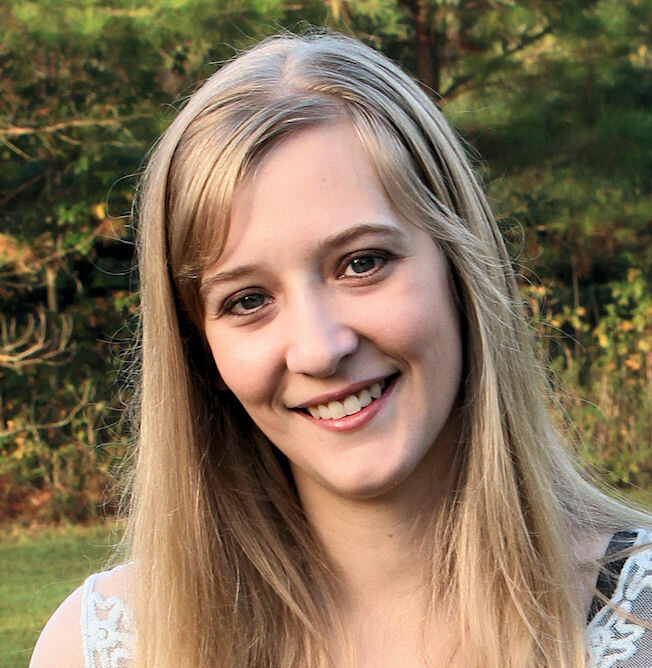 She is an editor of the new Refresh Bible Study Magazine and the designer of Broken but Priceless: The Magazine. She makes her home near Atlanta, Georgia. Katy, Thank you for your encouragement. I will have to try Pintrest. I rarely go there. I love cats. I think you will love Pinterest, Cherrilynn. I have a board on there called Furriness. Plenty of cat pictures. Thanks for your comment, and happy writing. I write historical fiction, 1000 BC in Canaan. I go to Pinterest sites related to archeology of the ancient Near East because they give me an idea of what my characters were actually experiencing. Helps to get the creative juices flowing. Thank you for sharing that, Maritha. I imagine that Pinterest would be a great place to gather ideas for novels. I have a Writing Inspiration board for devotional ideas. I wouldn't mind seeing your BC in Canaan board if you made one. Great ideas, Katy. Thanks for the encouraging post! Love this post, Katy! I completely agree -- Pinterest can certainly be therapeutic. =D Music almost always breaks writer's block for me, too. Thank you, Tessa! It's nice to know someone else finds Pinterest therapeutic. I remember you have a great Pinterest board about your YA novel. I hope all of your writing projects are going well! I'm so glad, Erika! It can be frustrating when we don't know what to write next. I hope these ideas spur some productive writing time! Thanks for commenting! Yes! :) Glad to see you like it, too, Bethany. Thank you, Katy. I'm staring at my list of ideas for the April issue of BBP to send to you and Erin. In addition to that ideas for my snail-paced blog to consistent-organized-posts list stares back at me. I look forward to seeing what you send us, Miz jan. I hope your blog goes well, and you're able to write some good posts! A blog can be hard to keep up with, but I love how blogging gives you instant access to the public, whereas a book can take a year to publish. Happy blogging! Thanks, Katy, for this post! It's encouraging to know I'm not alone in staring at that blank computer! Thanks for your suggestions. They're very helpful and will put them into practice. Thank you for your comments, Crickett. It's nice to remember we all suffer through that. I wish you well in your writing projects. I am enjoying reading your new book! Thanks, Katy. Great post. It may sound old school, but I'm signed up to biblegateway.com's Reading Plans. Plans like the Revised Common Lectionary help ensure I get a "balanced diet" of Scriptural thought. Hello, Joel! That's interesting that biblegateway.com has reading plans. You receive them by email? Thanks for commenting! Great post Katy! The prayer one is especially true for me. I would add to number seven that even though you don't have to go into great detail in sharing your struggle, I think you do need to share what your struggle was/is. It's hard for people to relate to a mysterious struggle. Maybe it's my critical side coming out, but as a reader if the author isn't able to share what they're struggling with I don't trust them to be able to help me with my struggle. Does that make sense? Hi, Josie! And thank you. What you said does make sense. Perhaps we can share generally what our struggle was about, or go into detail as the Holy Spirit leads. Sometimes it's hard to share the details of a struggle because the trial is still raw in our hearts. Also, we don't want to end up ranting or complaining. If a struggle involves other people, we have to be careful about guarding their privacy, of course. But I think what you're saying is that identifying the type of struggle an author has gone through, helps the readers to relate to him or her. It certainly helps me. It's an interesting topic. How much detail is too much?